Wednesday of this week cow #72 had a new little bull calf, #128. 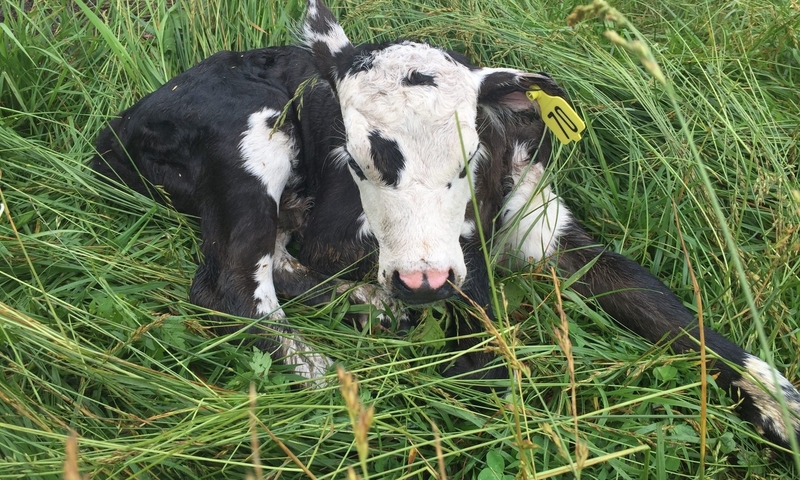 The calf had weak tendons in his back legs, something we’ve seen before on our farm. It isn’t very common and something we don’t normally want to see. It usually goes away after a couple of days, as the calf gets his feet under him and gains some strength. If #72 has another calf with weak tendons, then that will end her career as a mom here. Since #128 is a bull, he will not be used for breeding anyway so he can stay and be part of our program. Update from Lucy. #72 is a cow that she had to bottle feed because when she was born she had, wait for it, weak tendons in her legs. #72 definitely has to go. She is passing bad genetics down to her offspring at this point and that cannot be allowed. Once this calf is 6 months old, which will be this fall, #72 will be heading to either the market or the processor.